Jaipur is quickly turning into one of the most favored destinations for real estate, in India. It is emerging as the second-fastest developing town in the country. Good roads, as well as abundant air and rail connectivity to the national capital, Delhi, has made Jaipur one of the hottest tourist destination. It is also growing in popularity for its growing real estate market. In order to meet the future housing demands of IT sector employees, there have been some integrated townships developed by Jaipur real estate builders. There are various residential projects under way by a number of big and small real estate developers. Commercial real estate development is also a big attraction for investment in residential properties Jaipur. Real estate experts believe that this is the best time to buy property in Jaipur. Most new developments are taking place in areas where IT companies have come up. Residential areas like Bapu Nagar, Civil Lines and Malviya Nagar are expensive to rent. With every passing day there is an increase in the in infrastructural development and tourism of Jaipur. 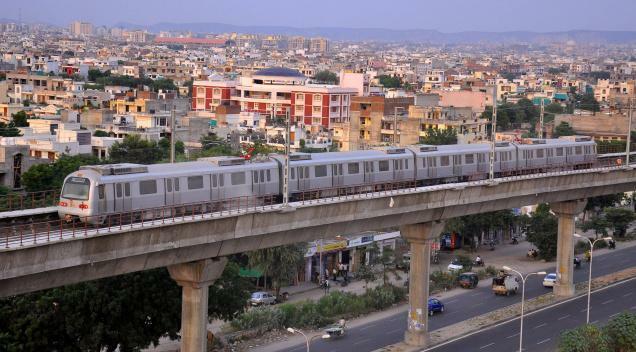 Another reason for Jaipur becoming a popular investment destination is the soon-to-be-functional metro. The development of Metro has not only improved the growth graph of the city, but has also had a positive influence in the city’s real estate. Locations which fall on the metro stretch are more expensive than the suburban locations of the city. So, if you are middle class buyer searching for a property in Jaipur, then it might be a good idea to invest in the outskirts of Jaipur at a lower price and still enjoy the great connectivity of metro. A number of skyscrapers are coming up in the city. The cost of flats at Jaipur may start from Rs. 20 lac onwards, depending upon the location. The concept of villas in Jaipur, group housing societies, row houses and integrated townships, are already popular in this ancient town of palaces. According to the recent developments, Jaipur is set to become an IT destination. Looking at the up-gradation of infrastructural facilities and due to the city taking on the mall culture, the ‘Pink City’ is surely turning into a hot investment destination. This entry was posted in Residential Properties in Jaipur and tagged Buy Property in Jaipur, flats at Jaipur, Invest in Jaipur Real Estate, residential properties Jaipur, villas in Jaipur on January 27, 2015 by Admin.